Scottish TV Company CALEDONIA TV is making a film for the BBC and US TV to mark the 100th anniversary of the Otranto Disaster. CALEDONIA TV is seeking descendants and families of the men who died and the survivors to tell their stories on screen. A troopship, crammed with more than a thousand men, suffered a catastrophic collision off the storm-lashed coast of the Scottish Hebrides. This is the story of the tragic Otranto, the 470 American soldiers and British sailors who were lost on her, and of how hundreds of others were snatched from the jaws of death. The end of the Great War was just weeks away when former P&O luxury liner, the Otranto, crossed the Atlantic, laden with young American soldiers. Just a few months before, she had made the same trip with Private Buster Keaton on board. To defy German submarines, the Otranto sailed in a convoy, protected by a ring of British warships. But, appalling weather prevented accurate navigation and the convoy was forced to rely on dead reckoning. When dawn broke, on the 6th of October 1918, a treacherous rocky coast was sighted. Most ships correctly identified it as Scotland, but not the Otranto. Her officers thought they were off Ireland. The Otranto turned north – and another troopship, the Kashmir, sliced into her, breaking her back. An extraordinary rescue mission ensued. British destroyer HMS Mounsey saved 596 men but 489 were left behind. Only 21 men – 17 of them Americans – managed to swim to the coast of the island of Islay, where they were dragged from the sea by islanders – mostly boys and old men not called-up to the army. But it was mostly bodies that the Islay people dragged ashore. The following morning the coast was strewn with scores of them. In a remarkable display of public sympathy, local people scoured beaches, and men roped themselves together to climb down cliffs to retrieve bodies. Kilchoman Church became a morgue. 100 bodies were stretched out on the pews. When the church got full, they laid another 100 of the dead outside among the gravestones. The islanders buried these dead strangers in a moving and dignified ceremony. In America, the sense of shock was palpable. The New York Times, broke the story in page after page of horrific detail. Nowhere was the shock more profoundly felt than Berrien County, Georgia. A disproportionate number of men came from the area, and of the 60 names carved on Nashville, GA’s war memorial, 28 are those of Otranto victims. Kilchoman Cemetery on Islay is a haunting place, perched on a promontory overlooking the sea. 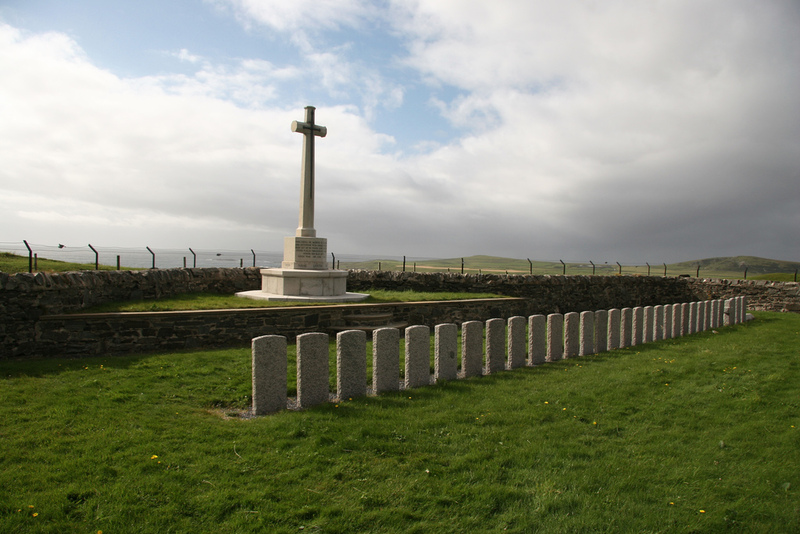 Although the identified American dead were later reinterred in US cemeteries, there are still seventy graves at Kilchoman – the Otranto’s Captain and crew, and 43 un-identified Americans. A century on, they lie close to the sea which proved to be more deadly than the foe they were sent to fight. Their loss is not forgotten. Half a mile out at sea, and 40 feet below the waves, lies the storm battered hulk of the Otranto. It was in mid October when the residents of Ray City, Berrien County, GA and the rest of America learned of the 1918 sinking of WWI troopship H.M.S. Otranto off the coast of the Isle of Islay, Scotland. When survivors of the shipwreck were ferried by the H.M.S. 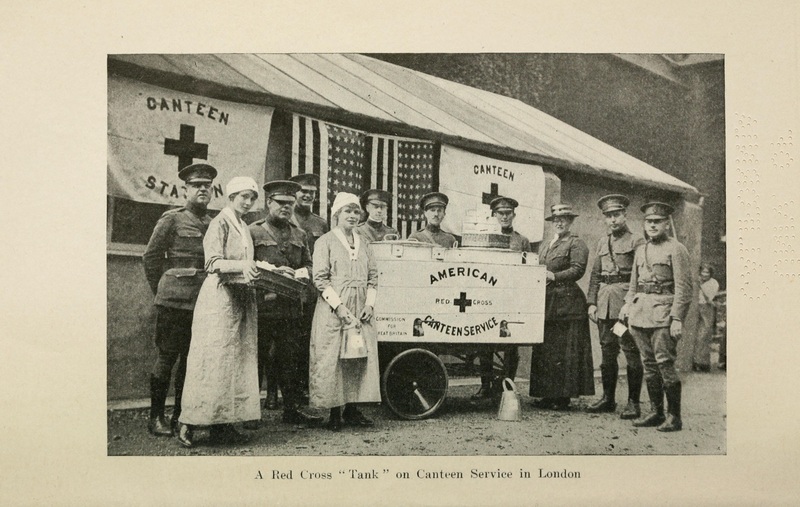 Mounsey to Belfast, Ireland the American Red Cross was there waiting for their arrival. James Marvin DeLoach, with many Ray City connections, and James Grady Wright of Adel, GA, Henry Elmo DeLaney of Nashville, GA and Ange Wetherington were among nearly 600 men who had managed to leap from the rails of the Otranto to the deck of the rescue ship Mounsey and were landed in Belfast. Early Steward of Nashville, GA went into the water and swam a mile and a half to the rocky coast of Islay, Scotland. Ralph Knight and Shellie Webb, of Ray City, GA were among the Berrien County men who drowned along with hundreds of other soldiers. The Georgia victims and other dead of WWI were honored in the Georgia WWI Memorial Book. (SEE Also Ray City, GA Veterans of World War I). Red Cross canteen workers like these met survivors of the HMS Otranto disaster as they were transported by train from Belfast to rest camps for recuperation. Otranto Survivors Cared For. The Red Cross Bulletin, October 21, 1918, Vol II, No. 43, pg 2. American soldiers who survived the sinking of the Otranto in the North Channel, between Ireland and Scotland, were taken to an American rest camp in the south of England by American Red Cross workers after a British destroyer landed them in Belfast. The emergency warehouses established by the American Red Cross at various points along the Irish coast many months ago, with a view to caring for shipwrecked men, enabled the organization to get relief to the Otranto survivors without delay. These warehouses contain clothing, medicine, food and comforts sufficient to care for 6,000 men at one time.